Find the relevant code in the debugger's code view pane. Set breakpoint(s) where you think interesting things may occur. Run the script again by reloading the page in the browser if it's an inline script, or by clicking a button if it's an event handler. Wait until the debugger pauses execution and makes it possible to step through the code. Investigate the values of variables. For example, look for variables that are undefined when they should contain a value, or return "false" when you expect them to return "true." If necessary, use the command line to evaluate code or change variables for testing. Find the problem by learning which piece of code or input caused the error conditions. I'll say it again, organize your code so you know where everything is. Strive to have no duplicated code on your site. 6. Mirror Your Test and Production Setups. Consider using absolute paths as much as possible. Avoid using the <base ... > tag, as it will inevitably lead to disaster. A long long long time ago, I uploaded a site with a <base ... > tag set to 127.0.0.1. Can you guess what happened? Everything seemed fine when I tested the uploads, because the live site was referencing my local machine. Whatever you do, don't mix absolute and relative paths-choose one and avoid the other. Firebug Lite - works in IE and other browsers, and if you're using the Dojo Toolkit it comes included, with some enhancements like launching in a separate window, and an object inspector. And of course there's itself, but you knew that. 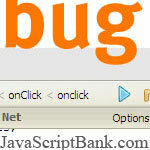 Debug Bar - Debug Bar Core Services has released , a Firebug equivalent for IE. Great inspectors for the DOM, HTTP, script and style sheets. Plus it provides you with much needed IE error handling. It has a JS command line, but in spite of its claims, it seems to be lacking any actual logging. Fiddler is a very robust proxy that logs your HTTP calls. More information than you'll ever need. Claims to work all browsers, but it uses the .NET Framework, so it's Windows only. HTTP Live Headers - works on a Mac, and captures all of your HTTP calls. Web Development Helper - Another Firebug equivalent for IE, is a pretty nice little app, with many of the same features as Debug Bar, except that it's free, and it actually has a logging feature, although it's plain text. A lot of the information appears in pop-up windows, which hurts persistence. It has an object inspector, but that too is in a window. However, this is definitely worth a look. Internet Explorer Developer Toolbar - Microsoft's is certainly an improvement over what it had before. A lot of inspectors and shortcuts to useful features like cache clearing (which now takes two clicks instead four).